Since its first performance in 2006, Lawrence University’s Kaleidoscope — a 75-minute musical extravaganza — has literally entertained thousands. The sixth iteration of Kaleidoscope returns Saturday, Oct. 14 at 8 p.m. to the stage — and the floor and balconies — of the Fox Cities Performing Arts Center, 400 W. College Ave., Appleton. 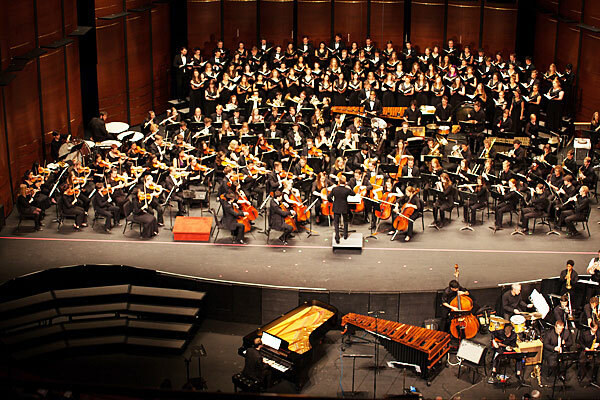 From Bernstein to Balinese gamelan, the symphony orchestra to saxophone quartet, choir to chamber ensemble, Kaleidoscope showcases the musical talents of 300 Lawrence students in 15 ensembles. Gawain Usher, a senior from Shoreham Vt., will be performing in his second Kaleidoscope concert, this time as principal viola with the Lawrence Symphony Orchestra. “For both performer and viewer this concert is a non-stop rollercoaster ride of excellent performances ranging from the intimate to the extravagant. It really offers a wonderful snapshot of what we do at the Lawrence conservatory,” said Usher, a self-described avid chamber music performer. 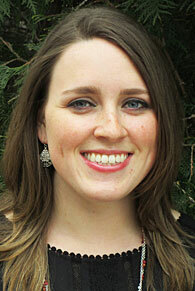 “As a musician getting the opportunity to play at the PAC on the big stage is special. For us instrumentalists, we crave the opportunities to perform in the big halls because it’s something we don’t usually get to do. Works by two composers with local ties — John Harmon and the late Fred Sturm, both Lawrence graduates — will be highlighted by the Lawrence Viking Bassoon Ensemble and the Lawrence University Jazz Ensemble, respectively. 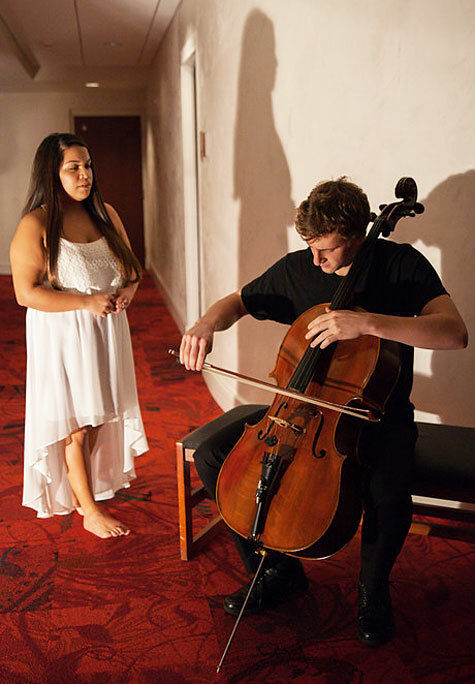 Closing the concert, and encompassing the entire array of Kaleidoscope performers, will be an encore presentation of “The Music Makers,” a massive seven-minute work written by Emmy Award-winning composer and 2010 Lawrence graduate Garth Neustadter. 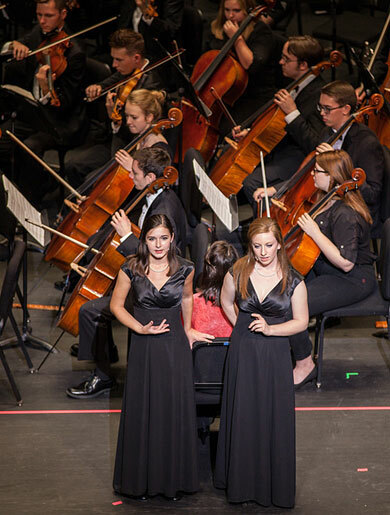 “The Music Makers” made its world premiere at the 2015 Kaleidoscope concert. As a prelude to the concert, art work created by six student studio art majors will be displayed in the PAC lobby. World-renowned Mnozil Brass and the impeccable Children of the Light Trio headline a diversely talented array of artists Lawrence University’s 2016-17 Performing Arts Series. Mnozil Brass performs March 29, 2017. Subscriptions for both the Artist and Jazz series are on sale now. Subscribers may choose from either series or a “Favorite 4” package, with discounts available to senior citizens and students. Single-concert tickets go on sale Sept. 16. 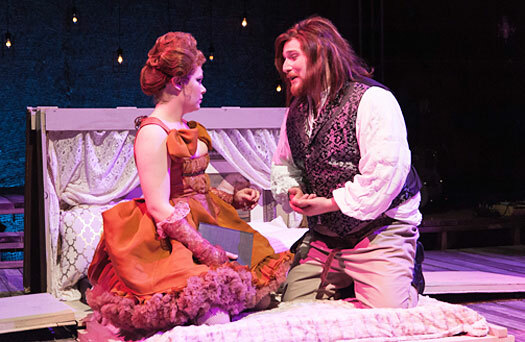 For more information, contact the Lawrence Box Office, 920-832-6749 or boxoffice@lawrence.edu. Mnozil Brass visits Lawrence March 29, 2017. 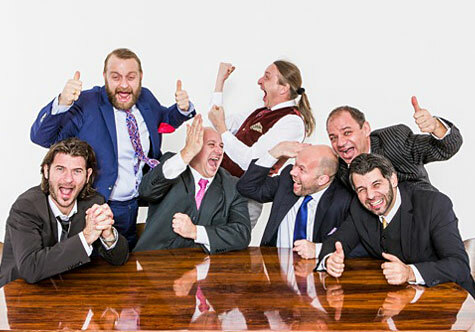 Since it’s founding in 1992, the Austrian brass septet has established itself as one of the world’s premiere brass ensembles, captivating audiences with its blend of virtuosity and theatrical wit. 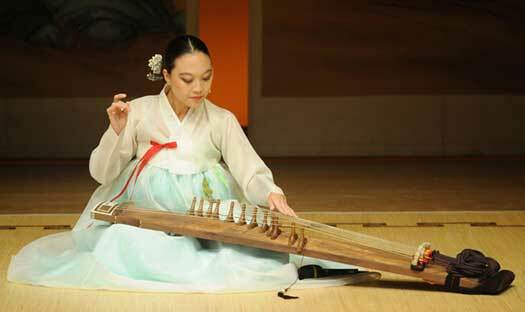 With more than 130 performances a year, they have sold out concert halls around the world. “I know this is an incredibly overused phrase, but the Mnozil Brass concert is an absolute ‘must-see’ event,” said Marty Erickson, an instructor of tuba and euphonium in the Lawrence conservatory. “They play everything from Bach to Zappa, from the classics to new movie music and it is all surrounded with choreographed theater and dance moves and a massive dose of humor. Children of the Light — Brian Blade, Danilo Perez and John Patitucci — will be the second concert of the Fred Sturm Jazz Celebration Weekend Nov. 5. The members first met at the Vienna Conservatory as young brass musicians. In the ensuring years, they have embraced repertoire from classical and folk to jazz and pop, all executed with the same fearlessness and immense technical skill. Children of the Light, featuring three members of the Wayne Shorter Quartet, performs Nov. 5 as part of the Fred Sturm Jazz Celebration Weekend. 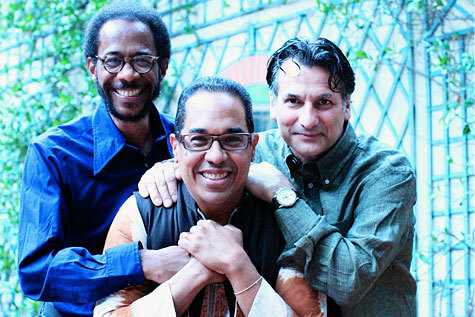 The three multiple Grammy Award winners — keyboardist Danilo Perez, cellist John Patitucci and percussionist Brian Blade — celebrate Shorter’s old and new compositions. Their three-way conversations produce a collective improvisation, unfolding and constructing music like a rhythmic and smoldering chamber recital. As they apply their considerable individual talents to the trio, each member maintains his own distinct personality. Clarinetest David Shifrin, violinist Ani Kavafian and pianist Andre-Michel Schub open the Artist Series Oct. 7. While Children of the Light is partially defined by the absence of Shorter, they add new influences, particularly of Latin and jazz, that are uniquely their own. 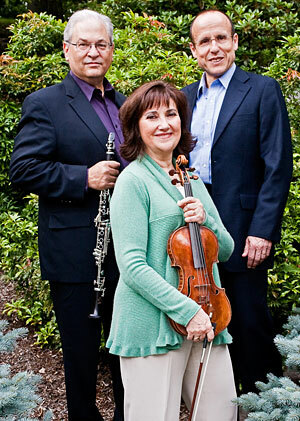 The Kavafian–Schub–Shifrin Trio opens the Artist Series Oct. 7. Friends for 25 years, violinist Ani Kavafian, pianist Andre-Michel Schub and clarinetist David Shifrin form a trio with palpable chemistry. Each is a member of the Chamber Music Society of Lincoln Center. Kavafian is one of the most sought after chamber musicians in the country as well as a frequent soloist. 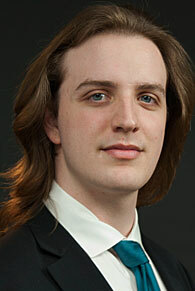 Shifrin has appeared in critically acclaimed recitals across the country and is a frequent major orchestra soloist. As a piano recitalist, orchestra soloist and chamber musician, Schub has earned critic and audience acclaim since launching his career more than 30 years ago. The trio’s programs include themes of dance, folk and French connections, highlighting a diverse range of 19th- and 20th-century works. The internationally acclaimed Elias String Quartet graces the Lawrence Memorial Chapel stage Feb. 3. The Elias String Quartet, internationally acclaimed as one of the leading ensembles of its generation, performs Feb. 3, 2017. Known for its intense and vibrant performances, the quartet has traveled the globe collaborating with some of the finest musicians and playing in the world’s great venues. In 2015, the quartet completed their ground-breaking Beethoven Project, performing and recording the complete string quartets of Beethoven. The project was broadcast by BBC Radio 3 and performed in 11 major venues in the UK. 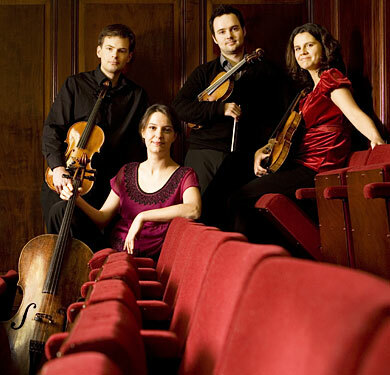 The quartet has been recognized with the 2010 BBC Music Magazine’s Newcomer of the Year Award and a 2013 Mentoring Scholarship from the Beethoven-Haus in Bonn. Closing out the Artist Series, Roomful of Teeth makes a return visit April 7, 2017. 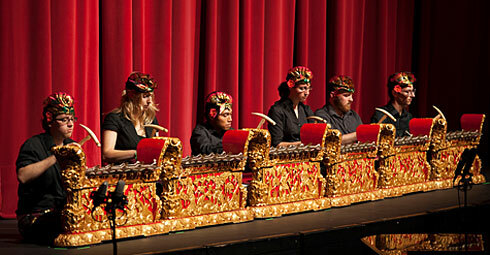 The ensemble performed at Lawrence in 2014 as part of the college’s New Music Series. Classically trained vocalists, RoT performs an eclectic repertoire commissioned specifically for the group, branching into everything from Tuvan throat singing, yodeling, Korean P’ansori and Hindustani music. 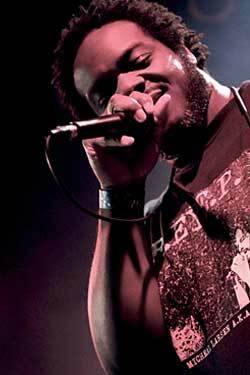 The eclectic Roomful of Teeth makes its second appearance at Lawrence on April 7. In March 2015, RoT performed the world premiere of “Drone Mass” by Icelandic composer Johann Johannsson, whose score for the film “The Theory of Everything” was nominated for an Academy Award. Singer Luciana Souza, with her bandmates Romero Lubambo and Cyro Baptista, open 2016’s Fred Sturm Jazz Celebration Weekend Nov. 4. 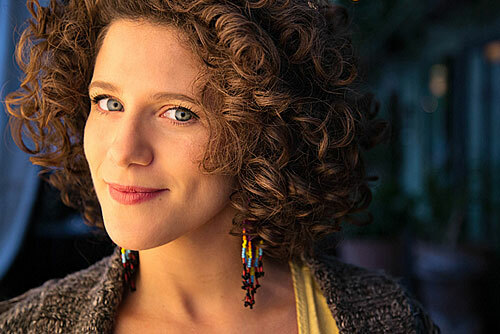 The Luciana Souza Trio opens the Jazz Series Nov. 4, kicking of the Fred Sturm Jazz Celebration weekend. Grammy Award-winner Luciana Souza is one of jazz’s leading singers and interpreters. A native of São Paulo, Brazil, Souza’s work transcends traditional boundaries with a musical style rooted in jazz, winding through world music and incorporating an enlightened approach to new music. 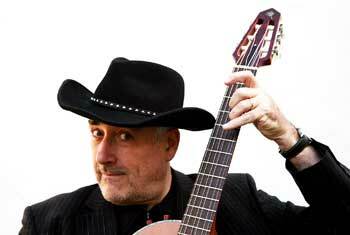 Souza has been releasing acclaimed recordings since 2002, including six discs that earned Grammy nomination. She has performed and recorded with such high-profile artists as Herbie Hancock, Paul Simon, James Taylor and Bobby McFerrin as well as the New York Philharmonic and the Los Angeles Chamber Orchestra. Joining Souza will be Brazilian jazz guitarist Romero Lubambo and Brazilian percussionist Cyro Baptista. Gerald Clayton, one of the foremost pianists of his generation, performs Feb. 24, 2017. Schooled in hard-swinging, melodic jazz by his father, John Clayton, uncle Jeff Clayton and mentors Billy Childs and Kenny Barron, he also has collaborated with contemporary jazz innovators Ambrose Akinmusire and Kendrick Scott. In his long-standing trio with drummer Justin Brown and bassist Joe Sanders, Clayton blends those styles into a musical language all his own. 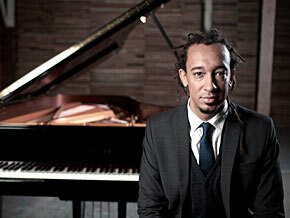 Pianist Gerald Clayton, along with bassist Joe Sanders and drummer Justin Brown, performs Feb. 24. 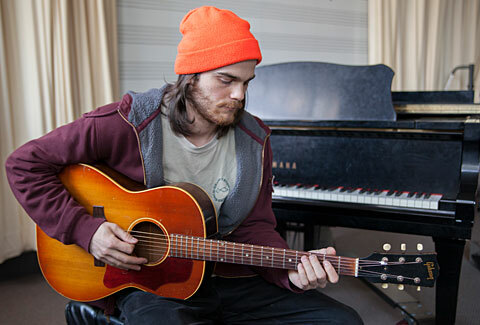 A 2006 runner-up in the prestigious Thelonius Monk Institute of Jazz Piano Competition, Clayton garnered Grammy nominations in 2010, 2011 and 2012. 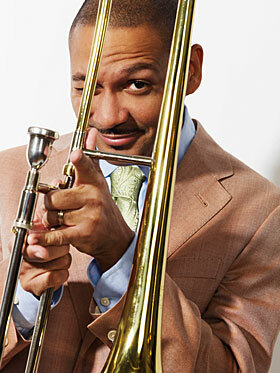 Delfeayo Marsalis, one of the top trombonists, composers and producers in jazz today, comes to campus May 13, 2017. 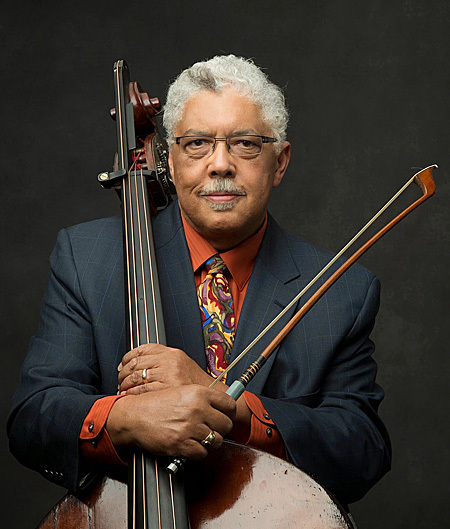 In January 2011, Delfeayo and the Marsalis family — father Ellis and brothers Branford, Wynton and Jason — received the National Endowment for the Arts Jazz Masters Award, the nation’s highest jazz honor. Trombonist extraordinaire closes the Jazz Series May 13, 2017. 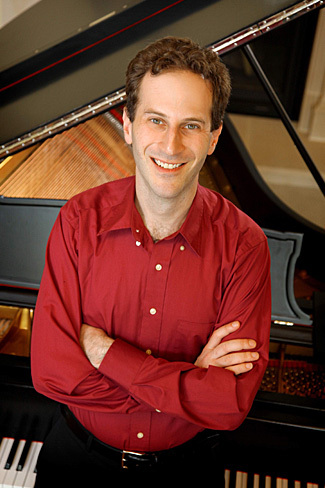 Pianist Orion Weiss, one of the most sought-after soloists of his generation, performs Friday, April 11 at 8 p.m. in the Lawrence Memorial Chapel in a Lawrence University 2013-14 Artist Series concert. 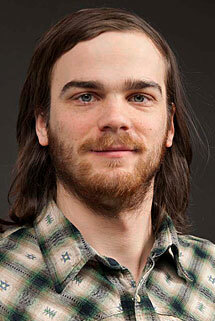 Pianist Orion Weiss performs Friday, April 11 in the Lawrence Memorial Chapel. Tickets, at $22-24 for adults, $20-22 for seniors and $17-19 for students, are available through the Lawrence Box Office, 920-832-6749. Known for his deeply felt style, Weiss has performed with leading orchestras across the United States, the Chicago Symphony, Boston Symphony, New York Philharmonic and Los Angeles Philharmonic among them. Internationally, he has appeared in France, Mexico and China and toured Israel under world-renowned conductor and violinist Itzhak Perlman. Weiss also released a critically acclaimed album of Gershwin pieces centered on his iconic “Rhapsody in Blue,” which Classics Today deemed “positively luscious.” The album is the first of a two-part recording project of the complete Gershwin repertoire. 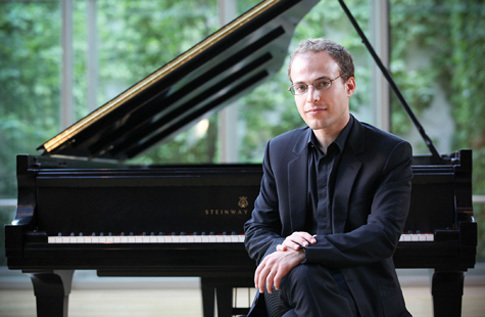 Weiss attended the Cleveland Institute of Music and the Juilliard School, where he studied with Grammy Award-winning classical pianist Emanuel Ax.